It will no longer tell you that President Obama is planning a coup, for example. 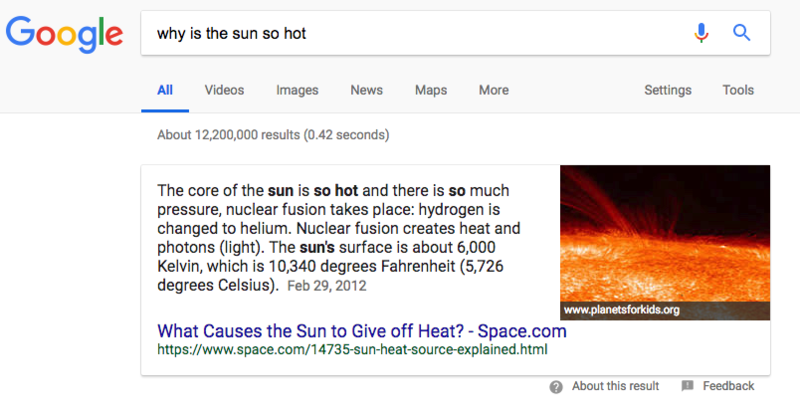 Google announced this week that it is revamping its "snippets" feature, which is the featured description you usually see at the top of search results when you input a question. Recently, the search engine has come under fire for displaying "fake news" as snippets. Now, the company is updating its Search Quality Rater Guidelines to help human raters more accurately flag hoaxes, conspiracy theories and false and/or offensive information. Additionally, it is adjusting its rankings to promote high-quality content and demote low-quality content. The company is also improving the quality of results by displaying more than one snippet. After all, sometimes there isn't one correct answer to a question. "There are often legitimate diverse perspectives offered by publishers, and we want to provide users visibility and access into those perspectives from multiple sources," said Matthew Gray, the lead of the snippets team. Google is also making it easier to provide feedback about snippets. This way, users can raise concerns about questionable snippets they see. A link at the bottom of the snippet box makes that quick and easy to do. It's good to see that Google is taking action on this troubling front. The additional features it's putting into place (especially the rankings algorithm) will help prevent people from gaming the system in order to ensure that fake news is the first source that Google searchers see.